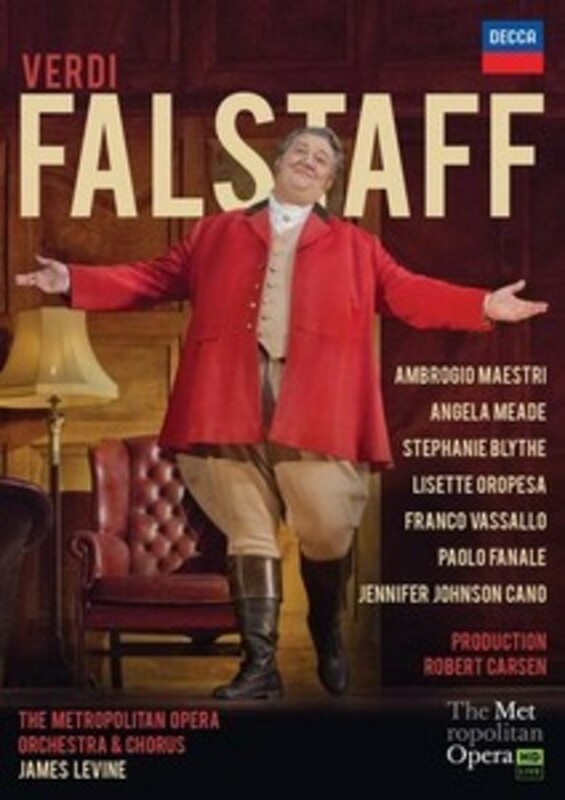 Verdi's brilliant final masterpiece Falstaff, in its first new Met production in 50 years - and conducted by Met Music Director James Levine in his first new production since his return to his podium at the Met. This visual feast, served up by director Robert Carsen, is a �thoughtful, affecting and hilarious staging that updates the action from the time of Henry IV to England in the 1950s� (New York Times). James Levine conducts Verdi�s final masterpiece with �affectionate energy� while Ambrogio Maestri, heading a stellar cast, projects �towering bravado and rare baritonal fervour in the title role� (Financial Times).